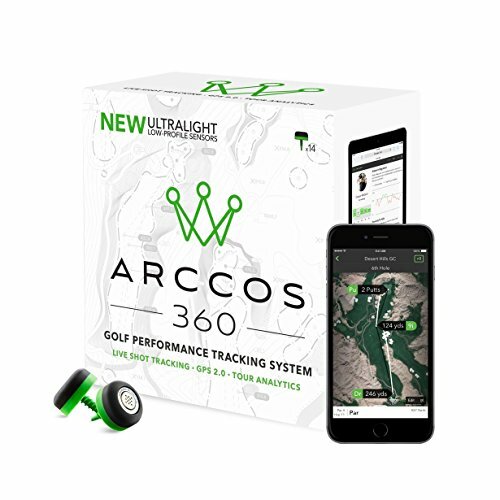 Winner of the 2017 Golf Digest Editor’s Choice Award for “Best Game Analyzer,” Arccos 360 is golf’s first and only fully-automatic performance tracking system. It features 14 ultralight sensors – one for every club in your bag – and combines Live Shot Tracking, GPS 2.0 and Tour Analytics to help any player make smarter decisions to shoot lower scores. Now with Arccos Caddie, golf’s first artificial intelligence platform, golfers of any skill level can view their optimal strategy on any hole in the world. If you have any questions about this product by Arccos Golf, contact us by completing and submitting the form below. If you are looking for a specif part number, please include it with your message.